Glow In The Dark Dinosaur Fossil Kits are perfect for your kids prehistoric collection of dinosaurs from Jurassic world. 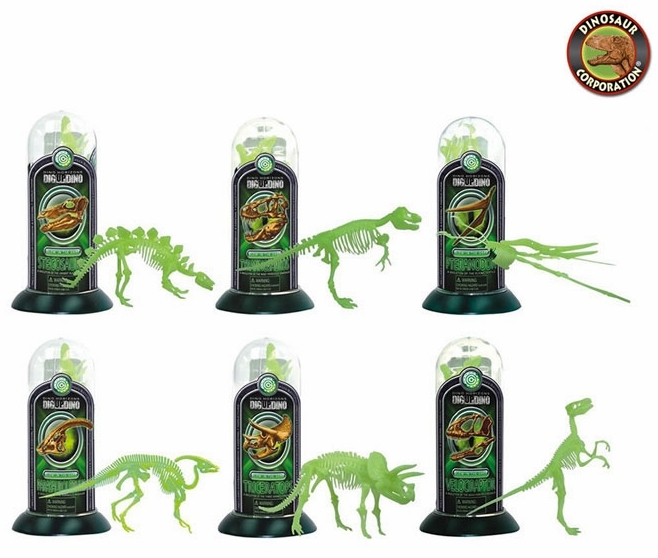 The collection of six 3D dinosaur skeleton puzzle toys are glow-in-the-dark T-rex, Triceratops, Stegosaurus, Pteranodon, Velociraptor and Parasaurolophus. Each skeleton is individually encased in a test tube container. Educational information about each dinosaur is included.